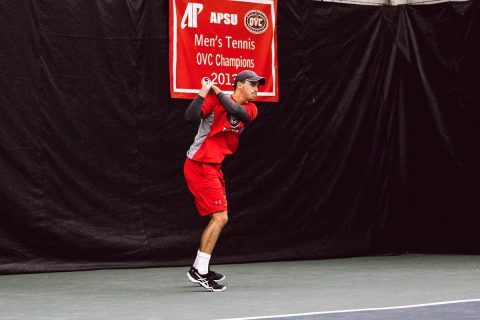 Valdosta, GA – Current Ohio Valley Conference Player of the Week Almantas Ozelis won his singles match, but Austin Peay State University (APSU) men’s tennis team tripped up against Valdosta State, 4-1, Thursday, at the VSU Tennis Courts. 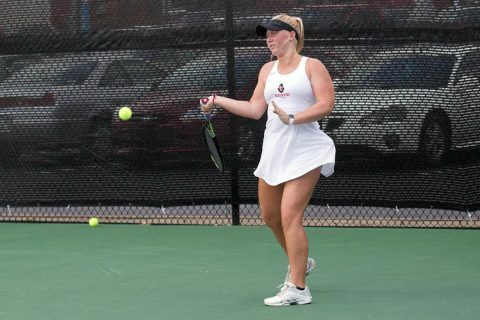 Clarksville, TN – Austin Peay State University (APSU) women’s tennis team continues to chase perfection by traveling to Valdosta State for a 2:00pm, Thursday, March 7th first serve. 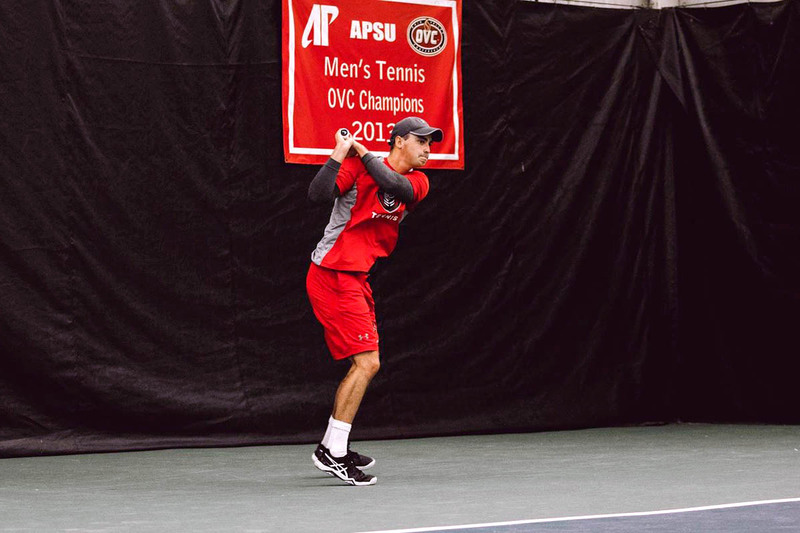 Clarksville, TN – The Austin Peay State University (APSU) men’s tennis team wraps up its roadtrip with a lone match against Valdosta State, 2:00pm, Thursday, March 6th. The Governors (3-8) struggled to get things going in their first two matches of the trip, falling to Kennesaw State and Bethune-Cookman. Clarksville, TN – New faces and seasoned veterans will comprise the 2017-2018 version of the Austin Peay State University men’s tennis team. 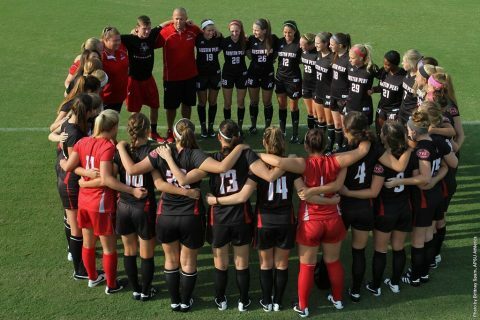 The squad will open its season beginning at 9:30am this Friday, September 22nd, 2017 at the Dale Short Shootout in Murfreesboro, Tennessee. 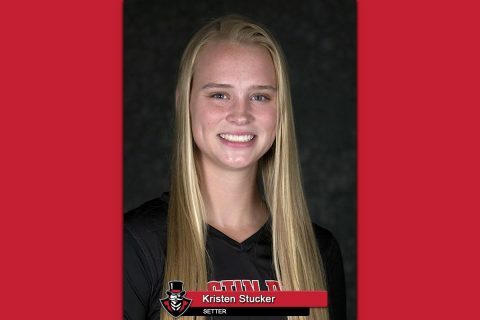 Clarksville, TN – Junior setter Kristen Stucker, of the Austin Peay State University volleyball team, has been named the Copies in a Flash APSU Athlete of the Week. 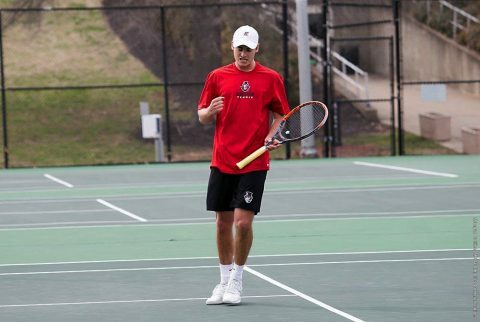 Stucker was named adidas® Ohio Valley Conference Setter of the Week for the second week in a row after averaging 12.0 assists per set (144 total) and leading Austin Peay to a sweep at the UAB Blazer Invitational last weekend. 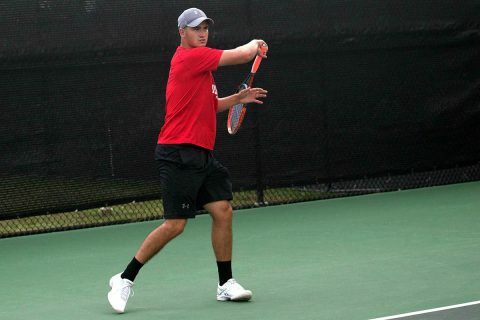 The Johnston, Iowa native notched 56 assists (14.0/set) against the host Blazers, adding 16 digs to the effort as well. Brentwood, TN – Junior forward Kirstin Robertson, of the Austin Peay State University women’s soccer team, was named the adidas® Ohio Valley Conference Offensive Player of the Week, Tuesday. 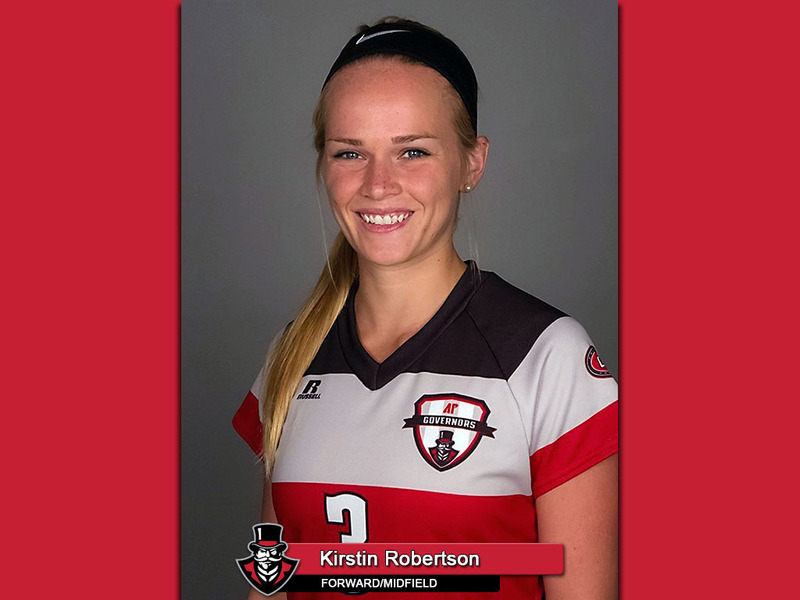 The award is Robertson’s first of her Austin Peay career after entering the program out of Harpeth Hall School. 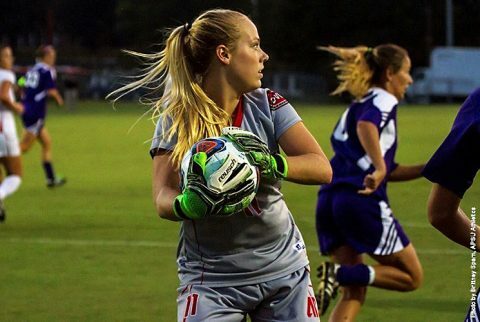 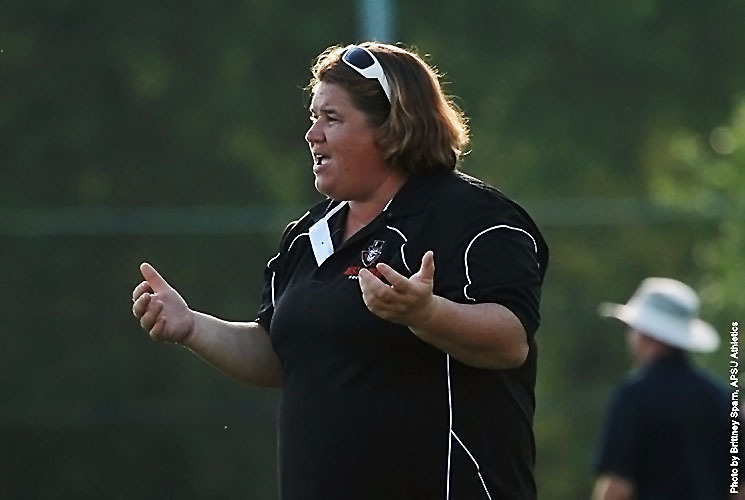 Birmingham, AL – Austin Peay State University women’s soccer head coach Kelley Guth earned her 100th career win Friday night with a 2-1 victory over UAB in the 2016 regular season opener. 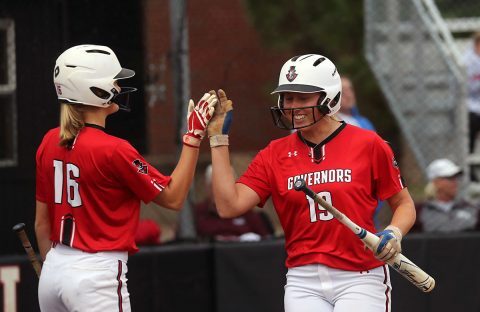 Guth becomes the second active coach in the Ohio Valley Conference to reach the century mark for her career – the other being Southeast Missouri’s Heather Nelson. The win comes after leading the program since its inception in 2002. Clarksville, TN – The 2016 season for Austin Peay State University women’s soccer team will officially get underway this weekend, with road matches at UAB, 7:00pm, Friday, and Alabama State, 1:00pm, Sunday. Head coach Kelley Guth enters her 15th season at the helm, and approaches the weekend one win shy of her 100th career win – all at APSU. Clarksville, TN – Austin Peay State University women’s soccer head coach Kelley Guth announced the team’s 2016 fall schedule, Wednesday, which features nine home matches at APSU Morgan Brothers Soccer Field. 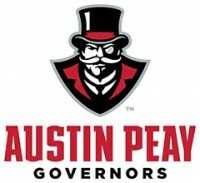 Following an exhibition contest at Georgia State (August 14th), the Govs officially open the regular season at UAB (August 19th) and Alabama State (August 21st).